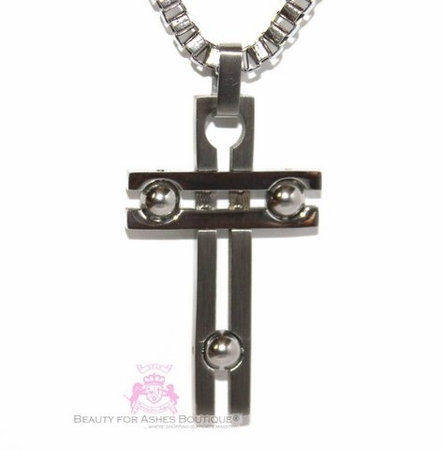 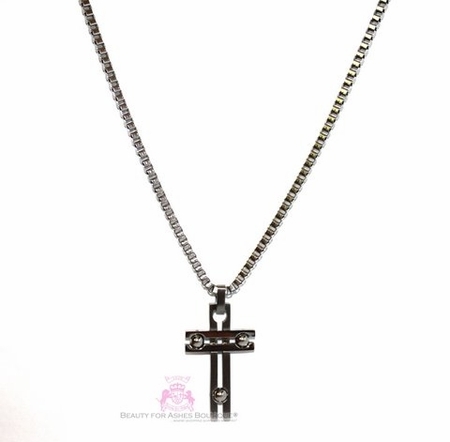 This Art Deco style cross features durable stainless steel suspending on a stainless steel chain measuring 24" long. The chain is 3mm wide with a lobster claw clasp. Perfect for everyday.